Spotting a serious home buyer is one of the frustrations you may encounter when selling your home is dealing with people who may not be serious about buying. Perhaps they’re just testing the waters of the market or daydreaming about one day owning a home when they walk into your open house. You can save yourself a lot of annoyance by learning how to spot the serious buyers. The one thing all serious buyers know is that they need to get preapproved for a mortgagebefore looking for a home in earnest. That preapproval from a lender is a signal to sellers that says they’re ready – and able – to move forward with an offer. They’ve taken the time to be vetted by a lender and they’re financially capable of purchasing a home. Any potential buyers who have not yet been preapproved for a mortgage should move behind those on your list who have. Perhaps a potential buyer comes along that is looking for a home in a certain price range and yours fits the bill. But you learn that they are really hoping for a home in a suburban community that is close to amenities, while your home is a rural property on the outskirts of town. If your home doesn’t hit the marks on a buyer’s wish list, it’s likely they aren’t serious about it. Buyers who aren’t too serious about putting in an offer on your home are more likely to be polite and friendly when taking a tour. But those who are a little more reserved or point out various flaws? It’s more likely they’re the ones who are actually thinking seriously about your home. Don’t let their poker faces throw you off. Most buyers know or have been coached by their agent to refrain from displaying an emotional response to your home. Those buyers who come back for a second or even a third look at your home? Those are the people who are the most interested and probably the most likely to put in an offer. Those who are just browsing will not take the time to come back for another look. 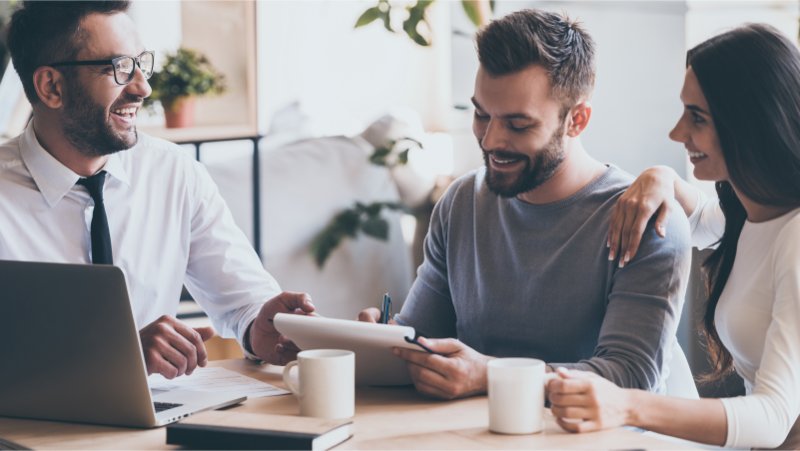 Seasoned real estate agents are attuned to what potential buyers are saying about your home, and there are certain types of comments that can provide clues that a buyer is serious. If they make remarks about how a piece of their furniture will fit in a room or how nice one of their rugs will look in the living room, they are already envisioning themselves living in the space. Buyers that are at the beginning of the process looking at their first homes probably aren’t quite ready to pull the trigger and put in an offer without looking at other homes first for comparison. The further the buyer is into the process, the more likely they are serious. This is especially true if they are up against any deadlines, like the beginning of a new job or the start of the school year. Selling your home can be an emotional and complex process, but learning to spot serious buyers can save you time and heartache in the end.